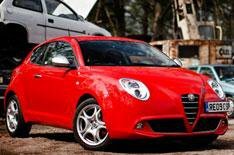 Alfa Romeo scrappage deals | What Car? Alfa Romeo is participating in the scrappage scheme, and is offering up to 2000 off a new car. That puts the entry-level MiTo 1.6 16v Turismo supermini at 8,995, if youve got a road-legal old banger to trade in.